Multiple sclerosis (MS) is the most common cause of neurologic disability in adults worldwide. Two main issues have caused MS patients to face several problems. One issue is that the definite cause of MS has not yet been determined and the other issue is the lack of a definite treatment for this disease. The people with MS, therefore, seek out complementary and alternative medications to manage the symptoms of this disease. Meanwhile, medicinal plants have been demonstrated to have possible positive pharmacological effects in treating MS in different models. 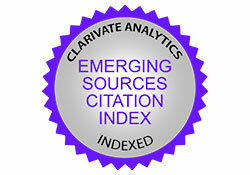 The reliable articles indexed in the databases Web of Science, Scopus, PubMed Central, PubMed, Scientific Information Database, and Institute for Scientific Information were retrieved and analyzed to conduct this review. Medicinal plants and plant compounds caused decreases in the neurologic deficits due to MS. Clinical evidence has demonstrated the clinical potential of Cannabis sativa extract, cannabinoids, Ginkgo biloba, beta-phytosterol, and Lippia citriodora extract to improve MS symptoms. These plants and compounds can also improve spasticity, muscle spasm, neuropathic pain, and urinary tract complications in at least some of these patients. Nanocurcumins and Punica granatum L. peel extract have exhibited positive effects in animal models and can decrease neurologic deficits by reducing inflammation. Medicinal plants and their compounds can serve as new sources of MS drugs because they can improve MS symptoms. Although people with MS have life spans similar to those of others, they experience major changes due to changes in the quality of their lives.3 The treatments of choice for MS include conventional treatments such as beta-interferon and complementary and alternative therapies. Alternative therapies are increasingly being welcome day by day such that one out of every three people is projected to use these treatments during his/her lifespan for common diseases such as back pain, headache, anxiety, and depression.4 The use of complementary and alternative medicine to treat chronic diseases such as Parkinson disease, epilepsy, and cancer has raised the potential of these therapies to treat MS. Although the conventional treatment for MS can help to decrease the frequencies of relapses and the severity of the disease and also slow down its progression,5 it is only partly effective to treat symptoms and improve functioning and quality of life. Patients, therefore, often seek out various other ways to treat MS. In the study by Giveon et al.14 with 150 physicians, 68% of the physicians reported that 15% of their patients used complementary medicine and 40% conjectured that 10% of patients used medicinal plants in treating diseases. Th17 cells produce a variety of cytokines, such as IL-17a, IL-17F, IL-6, IL-9, IL-21, IL-22, IL-23, TNF-α, GM-CSF, and IL-26. However, IL-17A is a specific cytokine of these cells. In humans, the effects of IL-17 in demyelinating nerve cells in MS patients have been demonstrated, and MS exacerbation is associated with an increase in the number of Th17 cells in the patients’ blood. During the development of experimental autoimmune encephalomyelitis (EAE), Th17 cell infiltration occurs in the brain before the onset of clinical symptoms, while a significant Th1 cell infiltration occurs after the development of EAE.20 The purpose of this article is to review the findings of the studies with animal models as well as clinical trials on the effects of medicinal plants and their compounds on MS (Table 1). We conducted the current review to investigate the results of studies with animals and humans regarding the effects of medicinal plants and plant compounds on treatment of MS.
Taken together, phytotherapy is a useful approach to decrease MS symptoms and leads to reduction of fatigue, pain, and stress in MS patients. However, physicians and neurologists are recommended to gain certain information about complementary and alternative therapies and to assess the patients’ experiences by discussing this area with them. This study was funded by the Research and Technology Deputy of Shahrekord University of Medical Sciences. Franklin RJ. Why does remyelination fail in multiple sclerosis? Nat Rev Neurosci. 2002;3:705-714. McQualter JL, Bernard CC. Multiple sclerosis: a battle between destruction and repair. J Neurochem 2007;100:295-306. Olsen SA. A review of complementary and alternative medicine (CAM) by people with multiple sclerosis. Occup Ther Int. 2009;16:57-70. Mirzai V, Saiadi AR, Heydarinasab M. Knowledge and attitude of Rafsanjan physicians about complementary and alternative medicine. Zahedan J Res Med Sci. 2011;13:20-24. Goodin DS, Frohman EM, Garmany GP Jr, Halper J, Likosky WH, Lublin FD, Silberberg DH, Stuart WH, van den Noort S; Therapeutics and Technology Assessment Subcommittee of the American Academy of Neurology and the MS Council for Clinical Practice Guidelines. Disease modifying therapies in multiple sclerosis: report of the Therapeutics and Technology Assessment Subcommittee of the American Academy of Neurology and the MS Council for Clinical Practice Guidelines. Neurology. 2002;58:169-178. 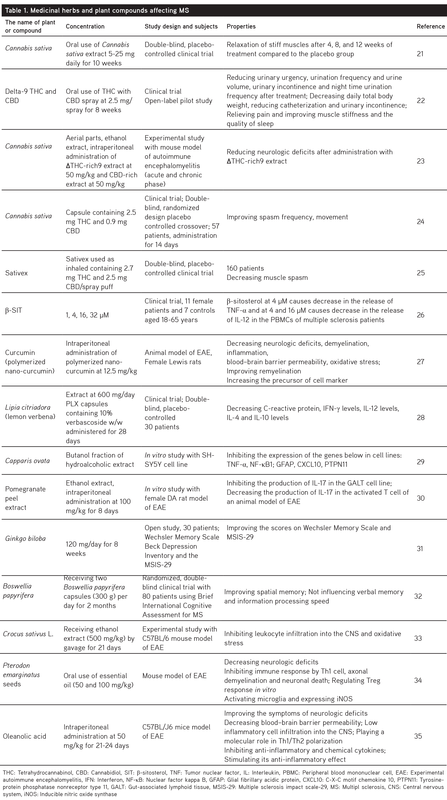 Yadav V, Bever C Jr, Bowen J, Bowling A, Weinstock-Guttman B, Cameron M, Bourdette D, Gronseth GS, Narayanaswami P. Summary of evidence-based guideline: Complementary and alternative medicine in multiple sclerosis Report of the Guideline Development Subcommittee of the American Academy of Neurology. Neurology. 2014;82:1083-1092. Rabiei Z, Rafieian-kopaei M, Heidarian E, Saghaei E, Mokhtari S. Effects of Zizyphus jujube extract on memory and learning impairment induced by bilateral electric lesions of the nucleus Basalis of Meynert in rat. Neurochem Res. 2014;39:353-360. Rabiei Z, Mokhtari S, Asgharzade S, Gholami M, Rahnama S, Rafieian-kopaei M. Inhibitory effect of Thymus vulgaris extract on memory impairment induced by scopolamine in rat. Asian Pac J Trop Biomed. 2015;5:845-851. Rabiei Z, Rafieian-Kopaei M. Neuroprotective effect of pretreatment with Lavandula officinalis ethanolic extract on blood-brain barrier permeability in a rat stroke model. Asian Pac J Trop Med. 2014;7:421-426. Rabiei Z, Bigdeli MR, Rasoulian B, Ghassempour A, Mirzajani F. The neuroprotection effect of pretreatment with olive leaf extract on brain lipidomics in rat stroke model. Phytomedicine. 2012;19:940-946. Rabiei Z, Gholami M, Rafieian-Kopaei M. Antidepressant effects of Mentha pulegium in mice. Bangladesh J Pharmacol. 2016;11:711-715. Rabiei Z, Naderi S, Rafieian-Kopaei M. Study of antidepressant effects of grape seed oil in male mice using tail suspension and forced swim tests. Bangladesh J Pharmacol. 2017;12:397-402. Rabiei Z, Lorigooini Z, Kopaei MR. Effects of hydroalcoholic extract of Borago officinalis on naloxone-precipitated withdrawal syndrome in morphine-dependent mice. Bangladesh J Pharmacol. 2016;11:824-829. Giveon S, Liberman N, Klang S, Kahan E. A survey of primary care physicians’ perceptions of their patients’ use of complementary medicine. Complement Ther Med. 2003;11:254-260. Hollenbach JA, Oksenberg JR. The immunogenetics of multiple sclerosis: a comprehensive review. J Autoimmun. 2015;64:13-25. Conti P, Kempuraj D. Important role of mast cells in multiple sclerosis. Mult Scler Relat Disord. 2016;5:77-80. Zrzavy T, Hametner S, Wimmer I, Butovsky O, Weiner HL, Lassmann H. Loss of ‘homeostatic’ microglia and patterns of their activation in active multiple sclerosis. Brain. 2017;140:1900-1913. Raphael I, Nalawade S, Eagar TN, Forsthuber TG. T cell subsets and their signature cytokines in autoimmune and inflammatory diseases. Cytokine. 2015;74:5-17. Zhu J, Jankovic D, Oler AJ, Wei G, Sharma S, Hu G. The transcription factor T-bet is induced by multiple pathways and prevents an endogenous Th2 cell program during Th1 cell responses. Immunity. 2012;37:660-673. Jadidi-Niaragh F, Mirshafiey A. Th17 cell, the new player of neuroinflammatory process in multiple sclerosis. Scand J Immunol. 2011;74:1-13. Zajicek JP, Hobart JC, Slade A, Barnes D, Mattison PG; MUSEC Research Group. Multiple Sclerosis and Extract of Cannabis: results of the MUSEC trial. J Neurol Neurosurg Psychiatry. 2012;83:1125-1132. Brady CM, DasGupta R, Dalton C, Wiseman OJ, Berkley KJ, Fowler CJ. An open-label pilot study of cannabis-based extracts for bladder dysfunction in advanced multiple sclerosis. Mult Scler J. 2004;10:425-433. Buccellato E, Carretta D, Utan A, Cavina C, Speroni E, Grassi G, Candeletti S, Romualdi P. Acute and chronic cannabinoid extracts administration affects motor function in a CREAE model of multiple sclerosis. J Ethnopharmacol. 2011;133:1033-1038. Vaney C, Heinzel-Gutenbrunner M, Jobin P, Tschopp F, Gattlen B, Hagen U, Schnelle M, Reif M. Efficacy, safety and tolerability of an orally administered cannabis extract in the treatment of spasticity in patients with multiple sclerosis: a randomized, double-blind, placebo-controlled, crossover study. Mult Scler. 2004;10:417-424. Wade DT, Makela P, Robson P, House H, Bateman C. Do cannabis-based medicinal extracts have general or specific effects on symptoms in multiple sclerosis? A double-blind, randomized, placebo-controlled study on 160 patients. Mult Scler. 2004;10:434-441. Desai F, Ramanathan M, Fink CS, Wilding GE, Weinstock-Guttman B, Awad AB. Comparison of the immunomodulatory effects of the plant sterol beta-sitosterol to simvastatin in peripheral blood cells from multiple sclerosis patients. Int J Immunopharmacol. 2009;9:153-157. Mohajeri M, Sadeghizadeh M, Najafi F, Javan M. Polymerized nano-curcumin attenuates neurological symptoms in EAE model of multiple sclerosis through down regulation of inflammatory and oxidative processes and enhancing neuroprotection and myelin repair. Neuropharmacology. 2015;99:156:167. Mauriz E, Vallejo D, Tunon MJ, Rodriguez-Lopez JM, Rodriguez-Perez R, Sanz-Gomez J, García-Fernández Mdel C. Effects of dietary supplementation with lemon verbena extracts on serum inflammatory markers of multiple sclerosis patients. Nutr Hosp. 2015;31:764-771. 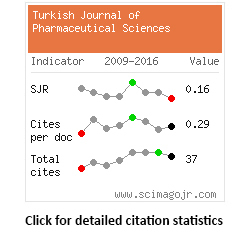 Sen A, Topcu G, Ozgun O, Kolak U, Hacibekiroglu I, Celik G, Arslan S. Anti-neuroinflammatory effect of butanolic subextract of Capparis ovata water extract used as an alternative andcomplementary treatment for multiple sclerosis. J Neuroimmunol. 2014;275:172-173. Stojanovic I, Savikin K, Dedovic N, Zivkovic J, Saksida T, Momcilovic M, Koprivica I, Vujicic M, Stanisavljevic S, Miljkovic D, Menkovic N. Pomegranate peel extract ameliorates autoimmunity in animal models of multiple sclerosis and type 1 diabetes. J Funct Foods. 2017;35:522-530. Noroozian M, Mohebbi-Rasa S, Tasviechi A, Sahraian M, Karamghadiri N, Akhondzadeh S. Ginkgo biloba for Improvement of Memory and Quality of Life in Multiple Sclerosis: an Open Trial. J Med Plant Res. 2011;3:33-49. Sedighi B, Pardakhty A, Kamali H, Shafiee K, Hasani BN. Effect of Boswellia papyrifera on cognitive impairment in multiple sclerosis. Iranian J Neurol. 2014;13:149. Ghazavi A, Mosayebi G, Salehi H, Abtahi H. Effect of ethanol extract of saffron (Crocus sativus L.) on the inhibition of experimental autoimmune encephalomyelitis in C57bl/6 mice. PJBS. 2009;12:690-695. Alberti TB, Marcon R, Bicca MA, Raposo NR, Calixto JB, Dutra RC. Essential oil from Pterodon emarginatus seeds ameliorates experimental autoimmune encephalomyelitisby modulating Th1/Treg cell balance. J Ethnopharmacol. 2014;155:485-494. Martín R, Carvalho-Tavares J, Hernández M, Arnes M, Ruiz-Gutierrez V, Nieto ML. Beneficial actions of oleanolic acid in an experimental model of multiple sclerosis: a potential therapeutic role. Biochemical Pharmacology. 2010;79:198-208. Claflin SB, van der Mei IA, Taylor BV. Complementary and alternative treatments of multiple sclerosis: a review of the evidence from 2001 to 2016. J Neurol Neurosurg Psychiatry. 2017;1:1-8. Matsuda LA, Lolait SJ, Brownstein MJ, Young AC, Bonner TI. Structure of a cannabinoid receptor and functional expression of the cloned cDNA. Nature. 1990;346:561-564. Lakhan SE, Rowland M. Whole plant cannabis extracts in the treatment of spasticity in multiple sclerosis: a systematic review. BMC Neurol. 2009;9:59. Brady CM, DasGupta R, Wiseman OJ, Dalton CM, Berkley KJ, Fowler CJ. The effect of cannabis based medicinal extract on lower urinary tract dysfunction in advanced multiple sclerosis: Preliminary results. J Neurol Neurosurg Psychiatry. 2002;72:139. Beard S, Hunn A, Wight J. Treatments for spasticity and pain in multiple sclerosis: a systematic review. Health Technol Assess. 2003:7. Shakespeare DT, Young CA, Boggild M. Anti-spasticity agents for multiple sclerosis. Cochrane Database Syst Rev. 2000:CD001332. Syed YY, McKeage K, Scott LJ. Delta-9-tetrahydrocannabinol/cannabidiol (Sativex®): a review of its use in patients with moderate to severe spasticity due to multiple sclerosis. Drugs. 2014;74:563-578. Collin C, Davies P, Mutiboko I, Ratcliffe S. Randomized controlled trial of cannabis-based medicine in spasticity caused by multiple sclerosis. Eur J Neurol. 2007;14:290-296. Collin C, Ehler E, Waberzinek G, Alsindi Z, Davies P, Powell K, Notcutt W, O’Leary C, Ratcliffe S, Nováková I, Zapletalova O, Piková J, Ambler Z. A double-blind, randomized, placebo-controlled, parallel-group study of Sativex, in subjects with symptoms of spasticity due to multiple sclerosis. Neurol Res. 2010;32:451-459. Novotna A, Mares J, Ratcliffe S, Novakova I, Vachova M, Zapletalova O, et al. A randomized, double-blind, placebo-controlled, parallel-group, enriched-designstudy of nabiximols (Sativex®), as add-on therapy, in subjects with refractory spasticity caused by multiple sclerosis. Eur J Neurol. 2011;18:1122-1131. Notcutt W, Langford R, Davies P, Ratcliffe S, Potts R. A placebo-controlled, parallel-group, randomized withdrawal study of subjects with symptoms of spasticity due to multiple sclerosis who are receiving long-term Sativex® (nabiximols). Mult Scler J. 2012;18:219-222. Xie L, Li XK, Takahara S. Curcumin has brightprospects for the treatment of multiple sclerosis. Int J Immunopharmacol. 2011;11:323-330. Bobholz JA, Rao SM. Cognitive dysfunction in multiple sclerosis: a review of recent developments. Curr Opin Neurol. 2003;16:283-288.